Monalisa has also been featured on Hoichoi original adult-comedy Dupur Thakurpo. 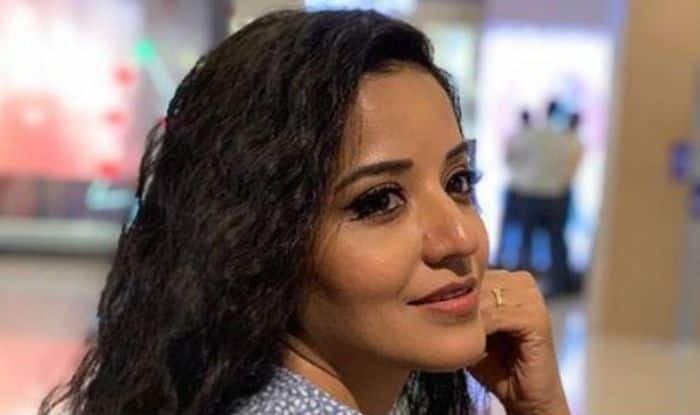 Bhojpuri actress Monalisa aka Antara Biswas is gaining a lot of popularity, all thanks to her daayan avatar on the show Nazar. While she keeps teasing her fans with her ethnic looks in her Mohana avatar, this time she has shared where she loves being herself. In the picture, the lady is seen donning a brown top teamed up with checkered hot pants. With minimal makeup and wet hair, she is seen basking herself in the sun in between the beauty of nature. Monalisa poses sensuously with rocky mountains and greenery at the background. A few days back, Nazar has completed its 100 episodes and the entire cast was seen dressed in their best outfit for the celebrations. Monalisa has also featured on Sunil Grover’s show Kanpur Wale Khuranas and entertained the audience with her funny stint. On a related note, Monalisa is one of the most sought after and highest paid actresses of the Bhojpuri cinema. Monalisa has worked with many top actors of the industry. Nazar is her maiden daily soap. She received a positive response for her performance. The makers always try to introduce some new twists and turns in order to keep the audience glued to the screens. She has also been featured on Hoichoi original adult-comedy Dupur Thakurpo.